Matthew is just gone when Hannah arrived home from work. The disappearing act was not what she expected because she thought they had been in love; that they were going to get married. The story follows her attempts to find Matt – to track him down. Along the way, there are hints that someone is watching her – making attempts to get her to seem crazy. Hannah leans on her friends, James and Katie. They try to offer as much support as they can, but with all of the new clues, with the wild accusations that Hannah lobs towards Matt, Hannah appears to be losing her mind. Even to her own self, she seems crazy. Things appear, phone calls stalk, she sees Matt, but can’t seem to figure out if it really was him. Katie is a contradiction as a character. She is nice, supportive, vindictive, and mean. The different emotions that were evoked by Katie helped, hindered, and confused. I think that Torjussen did a great job at creating a character with conflicting stories. Katie, while appearing to be the devoted friend, had her own agenda and you don’t really figure it out until it’s too late. Then you have Matt. He was the least developed character, but packed the most punch. I think that his realistic portrayal helped to solidify the story that Torjussen strives to tell. He was both slightly pathetic and incredibly brave. Finally, you have to have some empathy for the main character, but in the end, everyone has to own their own actions. This book discussed the taboo subject of physical abuse among couples, the taboo of mental health issues, and the important topic of stalking. This book felt incredibly long. I disliked the narrator, Hannah, from her first smug comments about her designer handbag and expensive suit. From that point on, her life unravels. The disappearance of Hannah’s boyfriend is the catalyst for a tedious descent into a miserable world of self-pity and paranoia. The first three quarters of the book developed Hannah into my worst nightmare of a female protagonist. She can’t cope without a boyfriend. Her few friendships are incredibly shallow and bitchy. The competitive consumerism with her best friend was nauseating. By the half way point, I felt like I was spiraling into Chick Lit hell. This is a difficult book to review without spoilers. 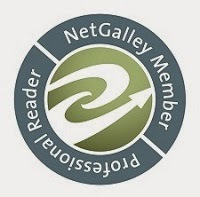 The plot twist near the end of the book adds interest and some excitement, but it came too late to hold my attention. Far too much time is spent exploring the minutiae of Hannah’s vapid existence before the big reveal. By the time I understood all the suspense elements of the story, I was numb to each and every one of the vile people in Hannah’s life. I think the main problem with this book is the attempt to combine contemporary women’s fiction/chick lit with a thriller/suspense story using pretentious literary fiction devices. As a result, I have no idea who the ultimate target audience is for this book. Mary Torjussen has an MA in creative writing from Liverpool John Moores University. She worked for several years as a teacher. 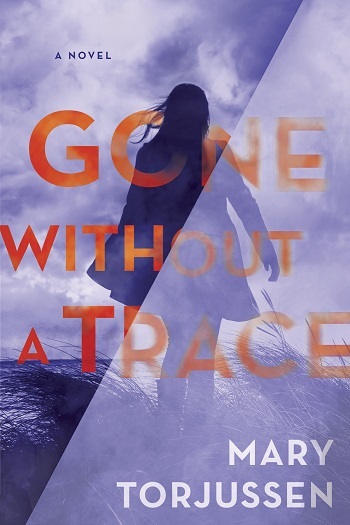 Reviewers on the Wicked Reads Review Team were provided a free copy of Gone Without a Trace by Mary Torjussen to read and review.